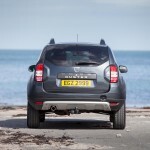 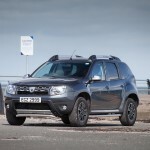 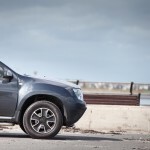 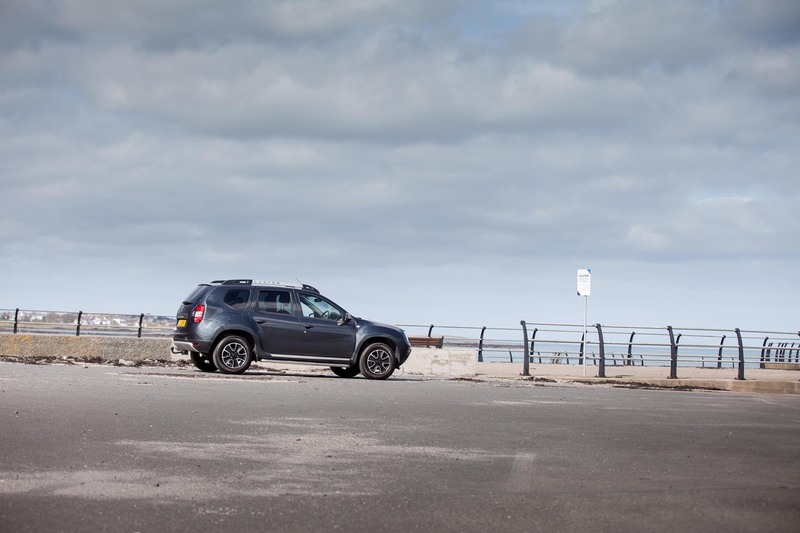 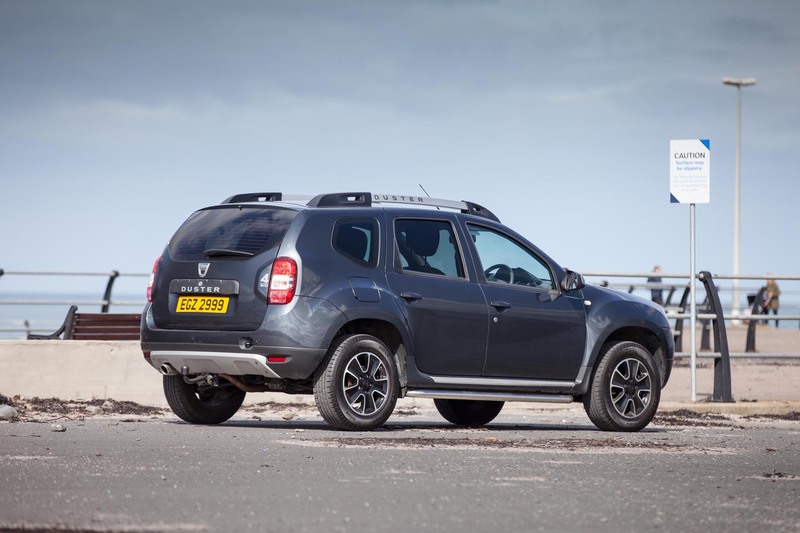 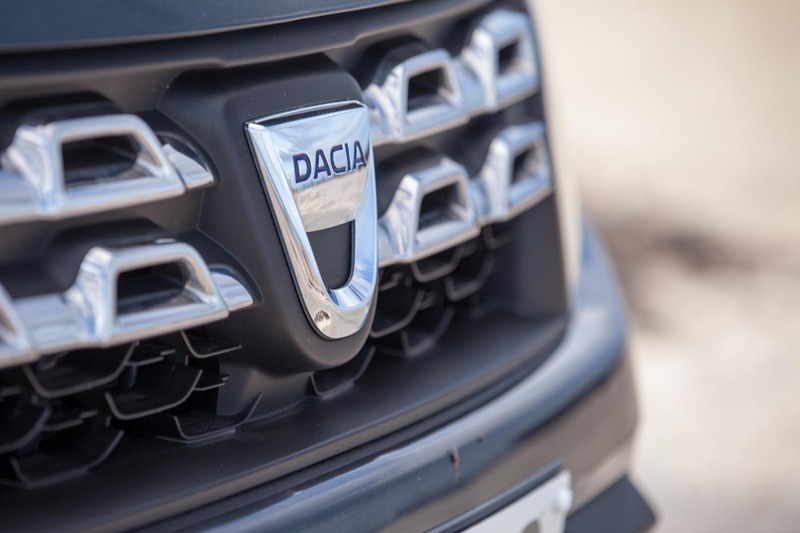 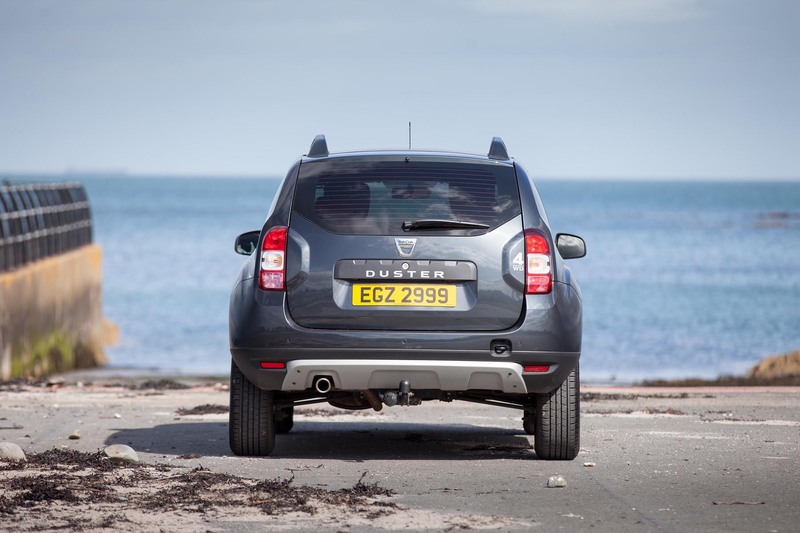 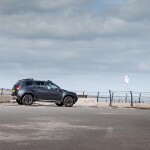 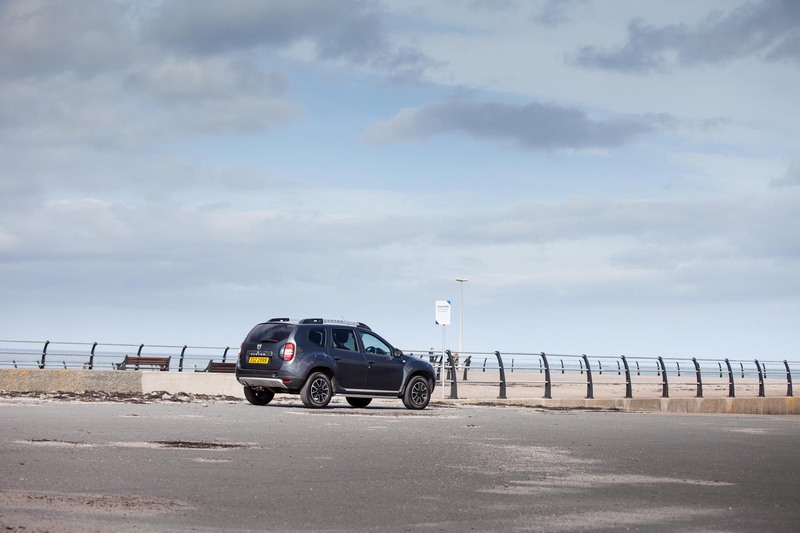 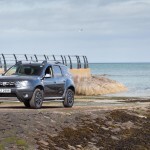 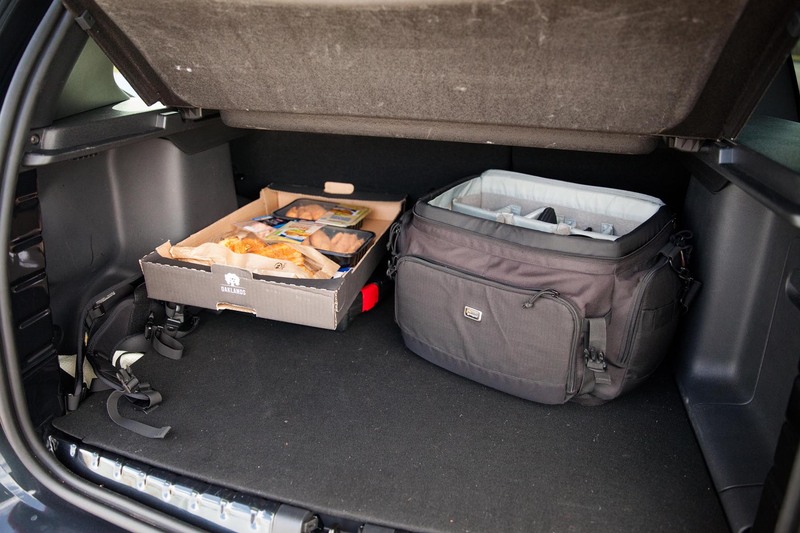 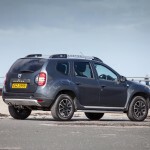 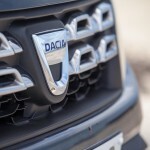 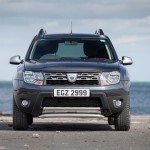 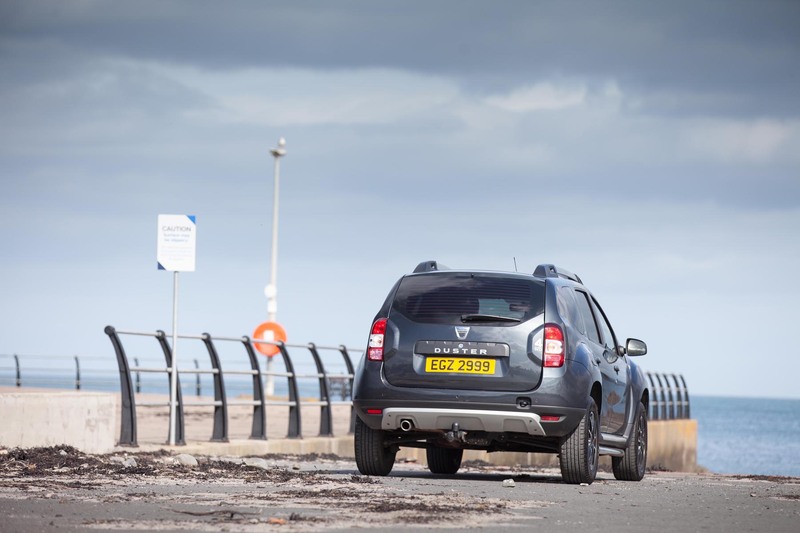 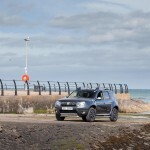 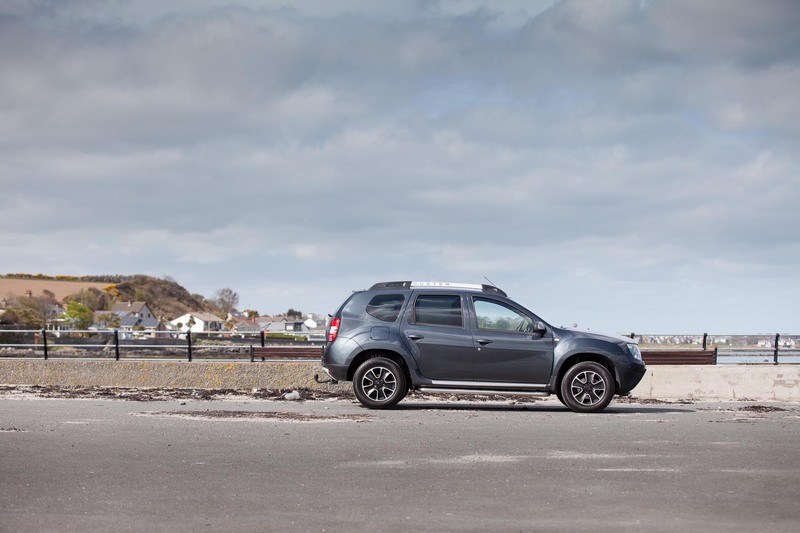 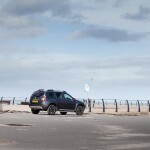 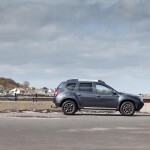 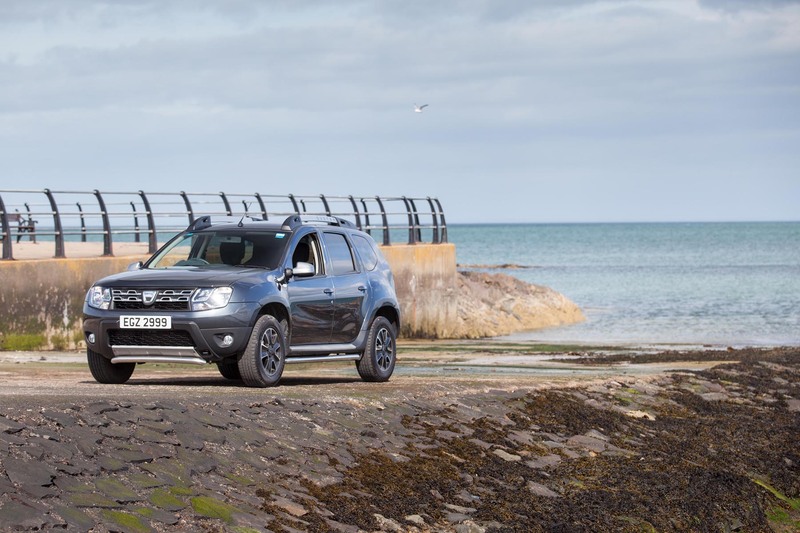 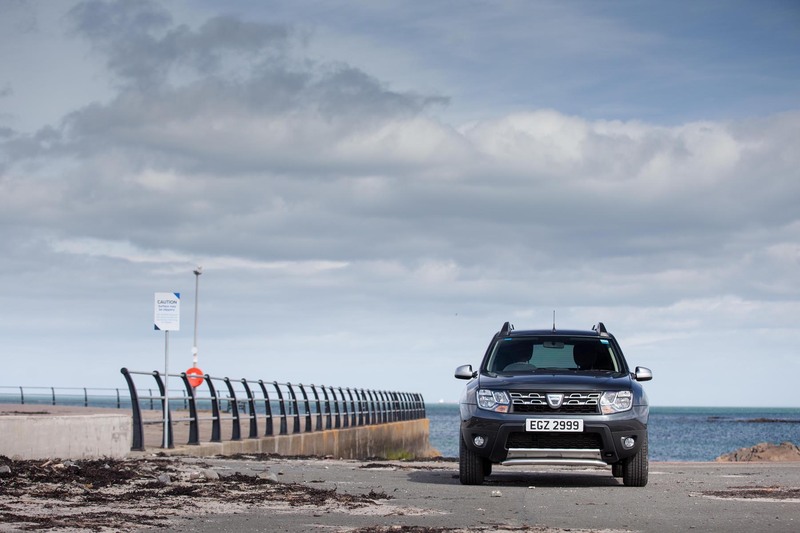 Since launch in 2013, Dacia’s ultra affordable SUV, the Duster is becoming more of a common sight on our roads and a couple of month’s back we got to test a top of the range, four-wheel-drive dCi model for a weekend. 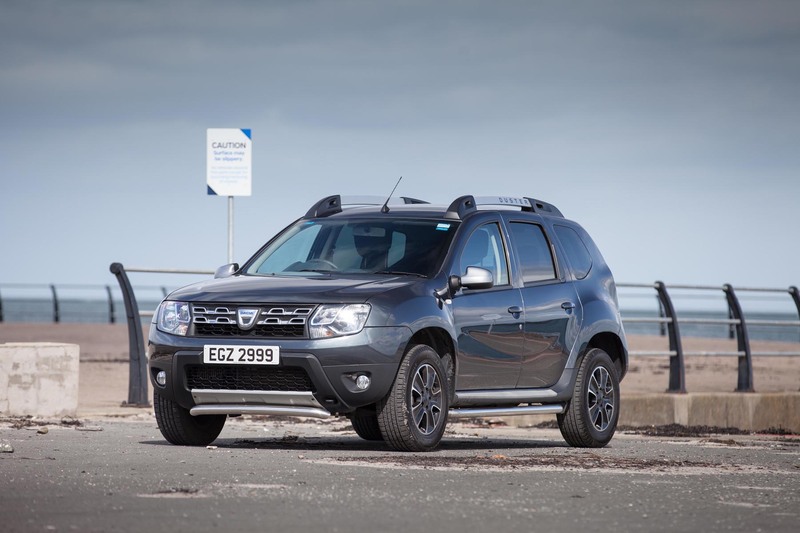 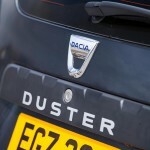 Pitched as ‘rugged, robust and no-nonsense’ I think it is safe to say that soft touch materials, market leading technology and exceptional build quality are not to be expected – instead the Dacia Duster is utilitarian inside with basic tech on-board and is mass built in a way to offer affordability for the motorist. 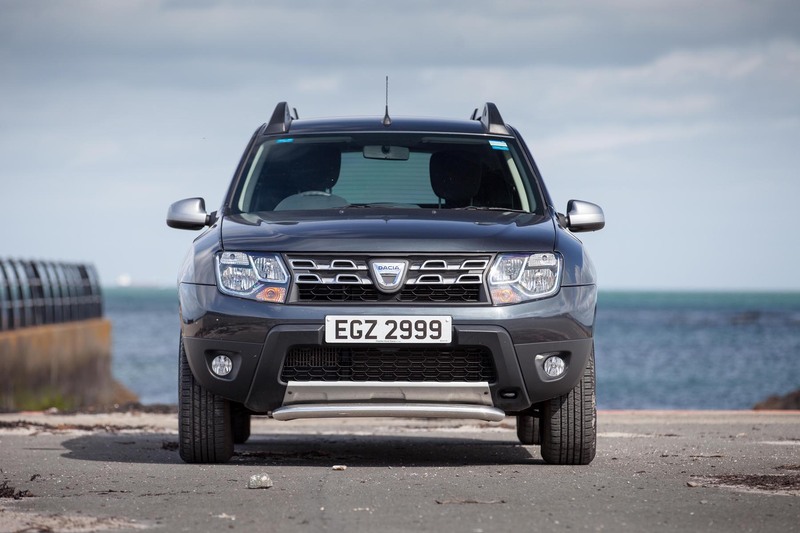 At some point in the last while the Duster received a bit of a face-lift and with it the SUV was given better ground clearance, greater bumper angles to suit rugged terrain better than before as well as a commercial option being available. 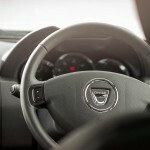 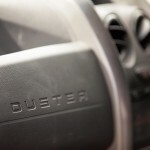 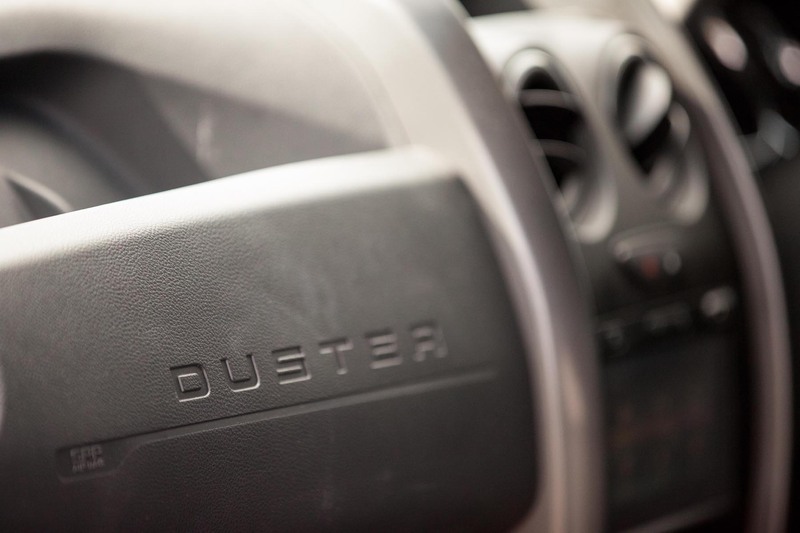 The Duster comes as standard with a chrome front grill and roof rails as well as daytime running lights while safety is aided by ABS and emergency brake assist along with stability control and traction control. 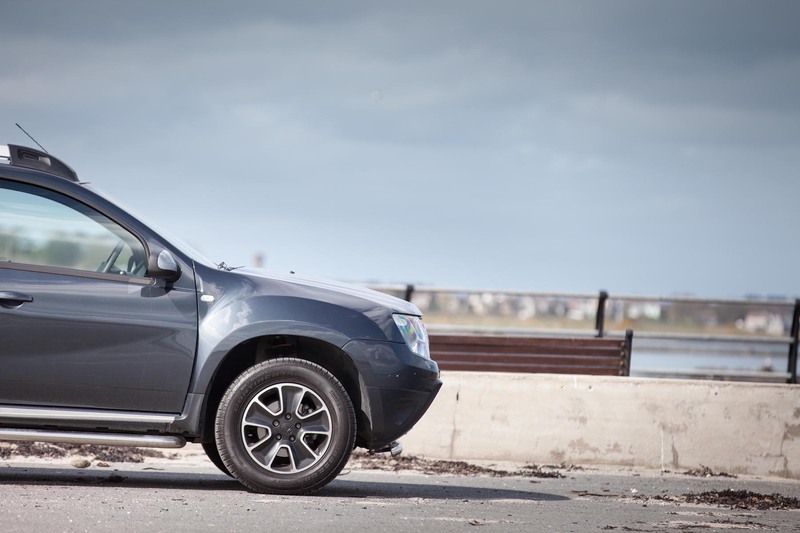 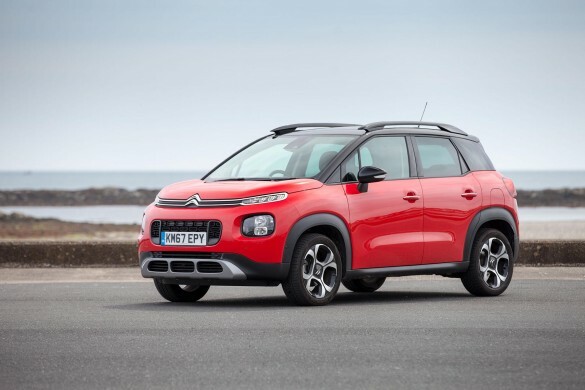 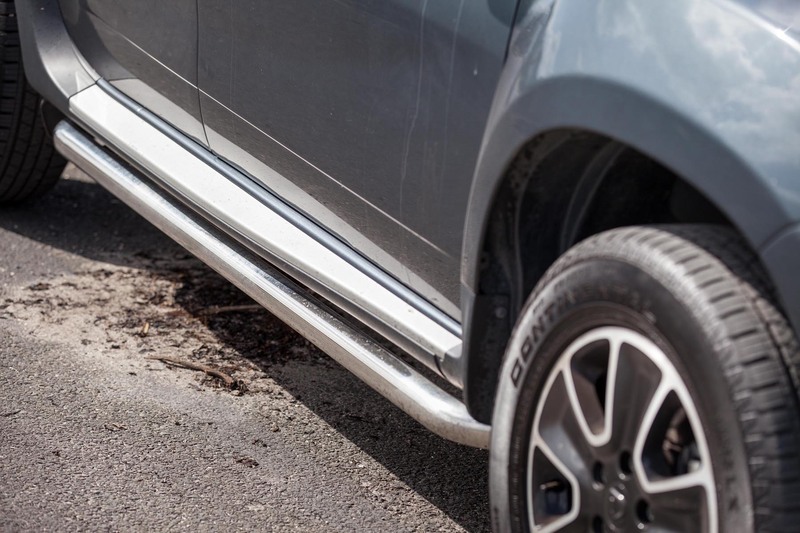 On 4WD models a centre diff-lock features with selectable 2WD and auto lock modes with stop/start running across the range and for young travelers ISOFIX is in place on the outer rear seating with child locks on the rear doors also. 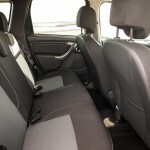 Starting from a mere £9,495 the entry level ‘ACCESS’ model is very basic with its 16” steel wheels and black plastic bumpers with matching door handles – in fact it doesn’t even come with a radio but does get electric front windows, one-piece folding rear seat and a height adjustable steering wheel. 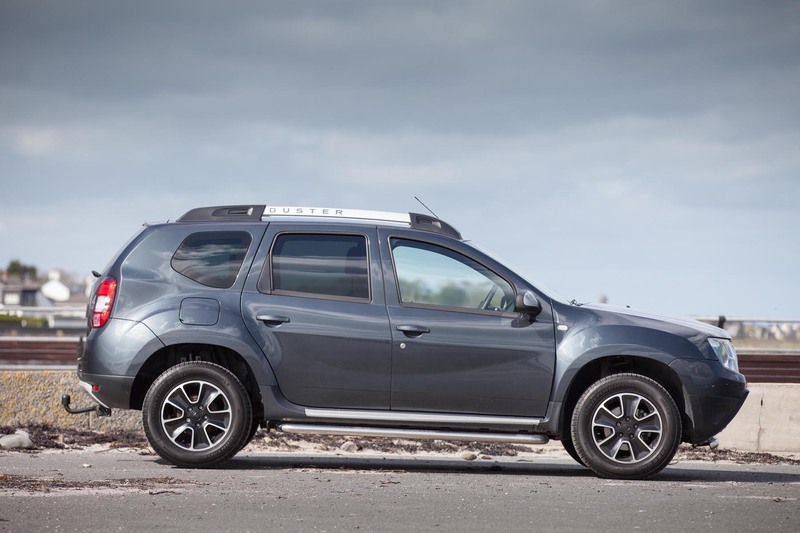 Next up is the ‘AMBIANCE’ starting from £10,995 offering a different style of steel wheel along with the addition of front fog lamps and the upper bumper sections being colour coded to the car whilst inside, charcoal grey and chrome features throughout the cockpit. 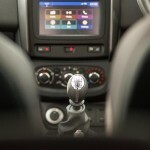 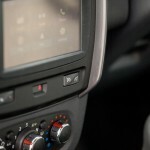 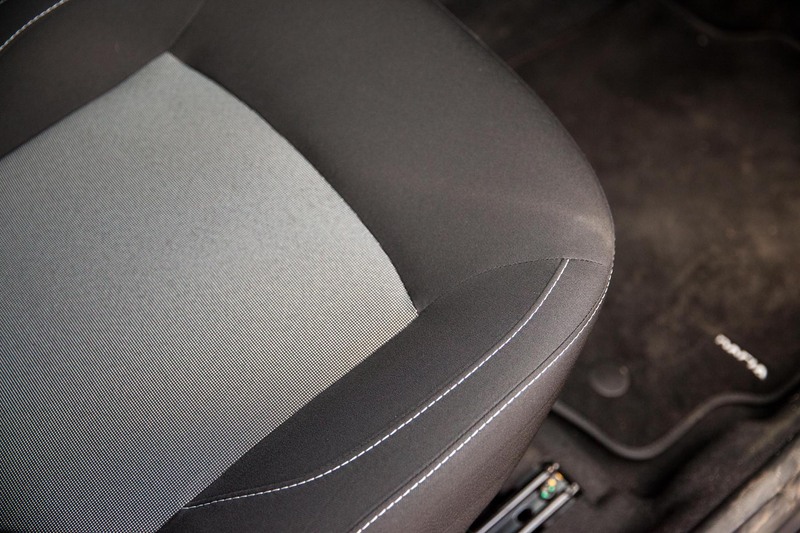 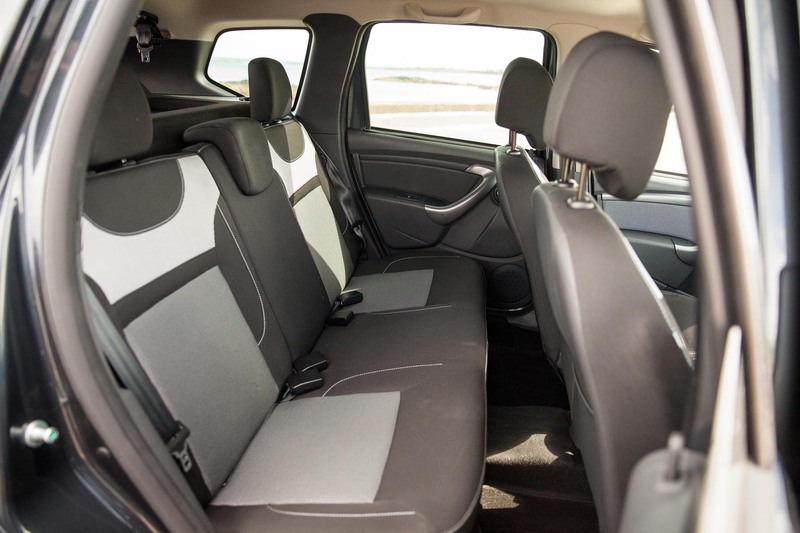 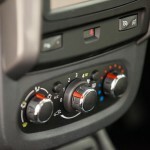 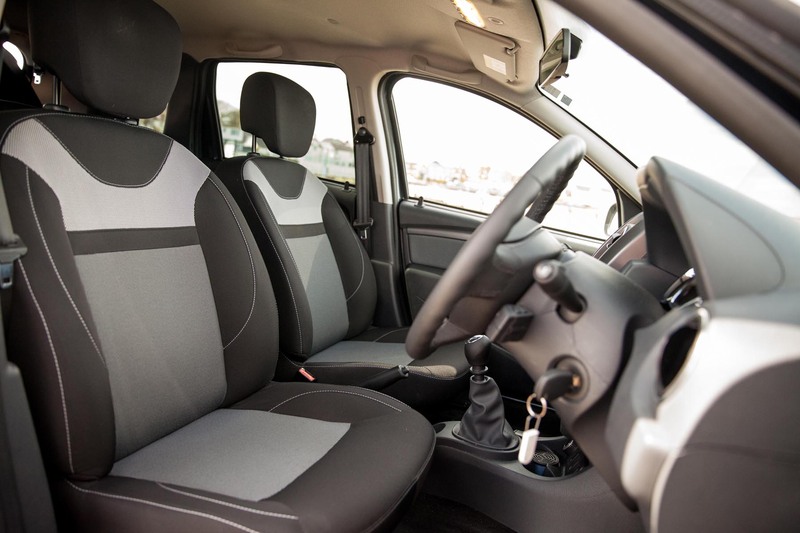 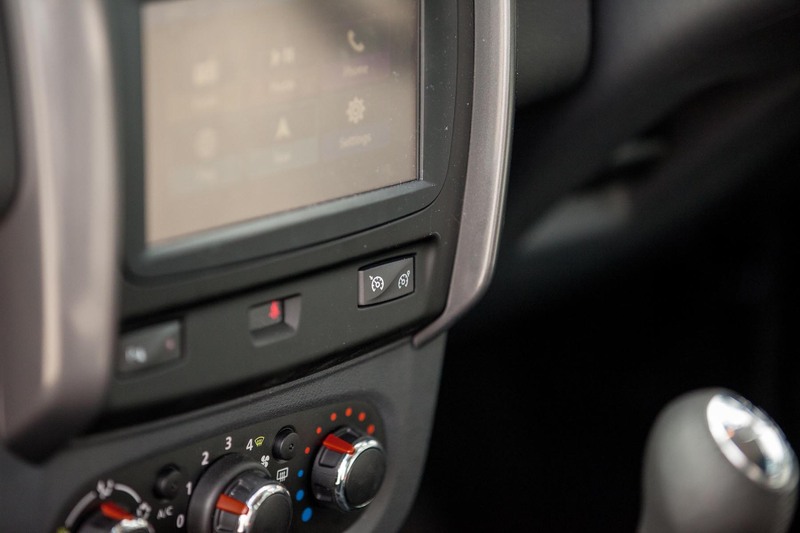 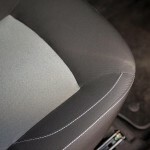 The rear seat-back becomes a 60:40 split unit; the driver’s seat is height adjustable and infotainment comes in the form of a four-speaker system that allows Bluetooth connectivity, DAB/FM/AM radio, AUX input and a USB input for ease of MP3 connectivity. 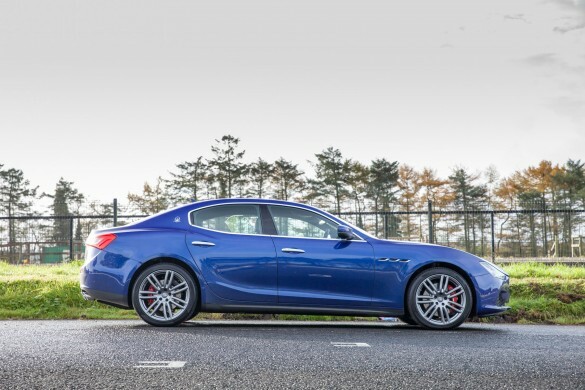 Next up and starting from £13,295 is the ‘LAUREATE’ – this for me is likely to be the most popular model as it comes with alloy wheels and extra colour coding around the body as well as a plethora of Satin Chrome around the outside such as the roof rails, side sills, door mirrors and front and rear skid plates. 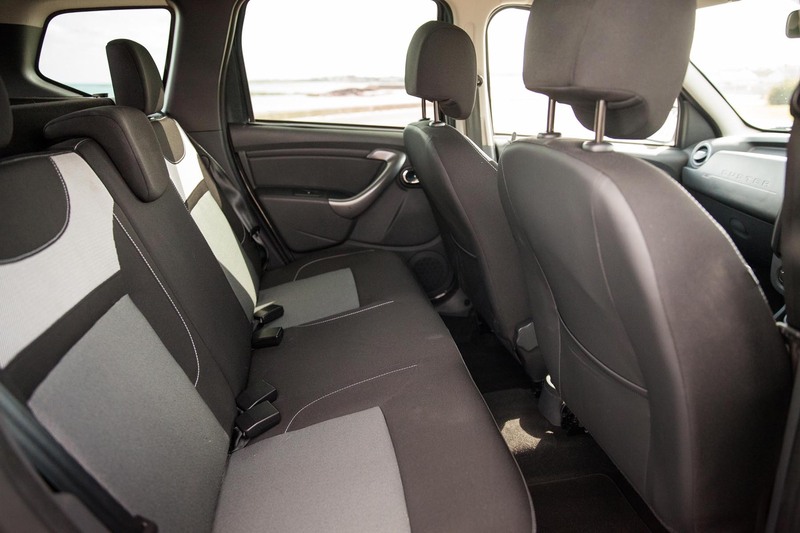 This model also receives electric rear windows and air conditioning alongside heated and electrically adjustable door mirrors. 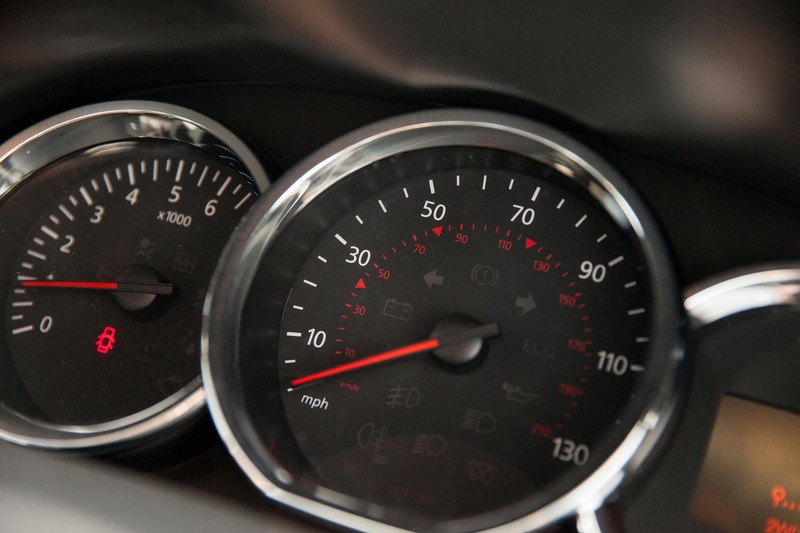 Cruise control with speed limiter assist for the long commute and lastly an on-board computer helps to view odometer, trip computer, fuel used/avg fuel consumption, fuel range, avg speed among other things. 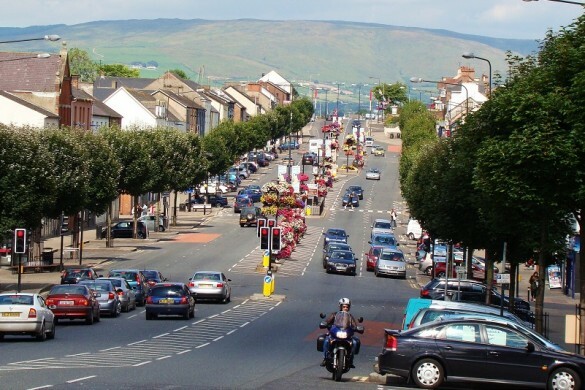 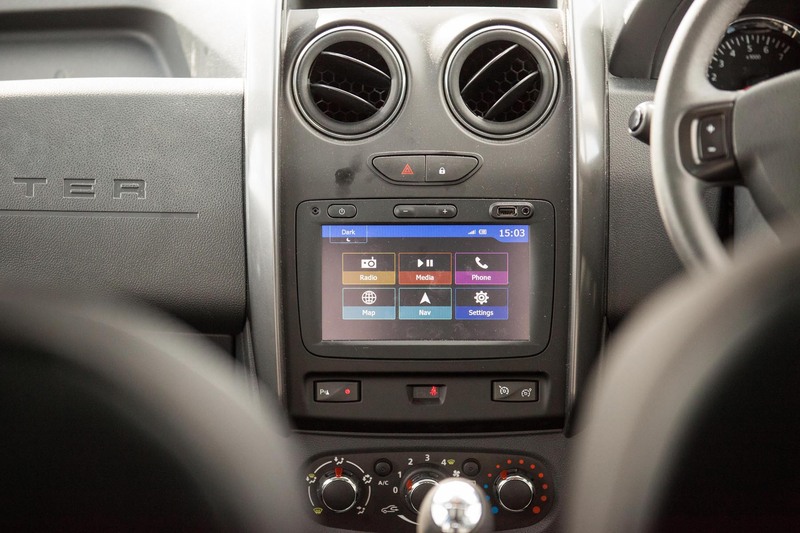 If you have £14,195 or more to spend you would maybe fancy the ‘PRESTIGE’ as tested thanks to Charles Hurst on Boucher Road, Belfast which receives diamond-cut alloy wheels, reverse camera and a media nav system incorporating traffic information, SIRI ‘eyes free’ and other apps. Finally an ‘SE Summit’ tops the Duster range starting from £15,195 which gets you a sporty/chic interior makeover along with a body kit attached to the Nordic Grey metallic paint that adds more side protection as well as wide arch extensions. 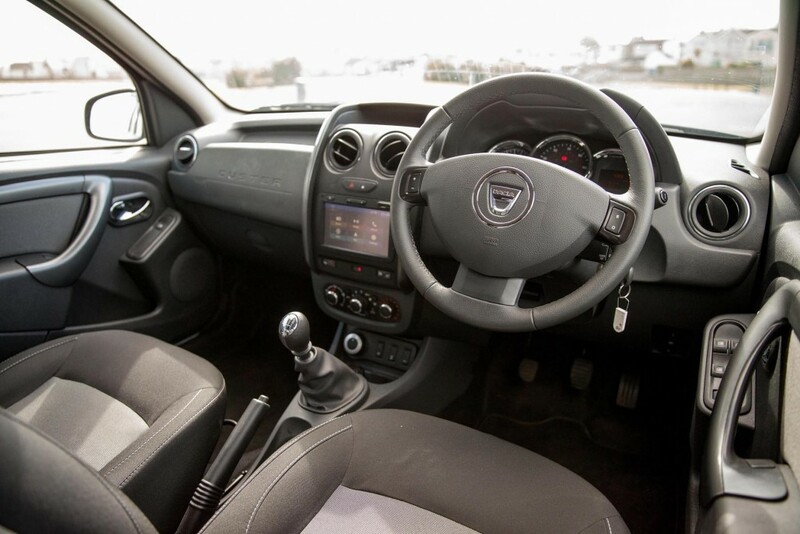 Inside the Duster, I found it to be as utilitarian as expected though well laid out and purposeful with rear leg room a little lacking if travelling with four adults – perfect as a young family car however and with a leather interior option spilled drinks and sticky sweets will be easily cleaned up. 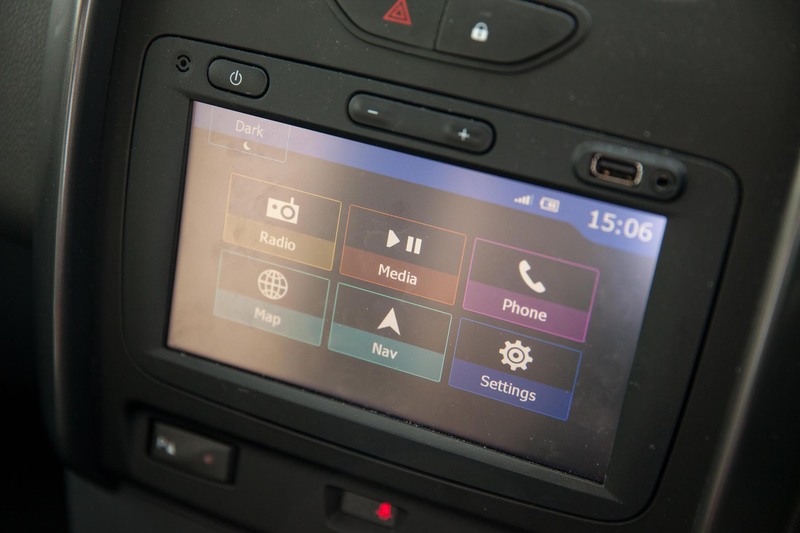 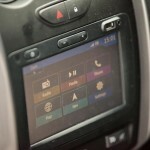 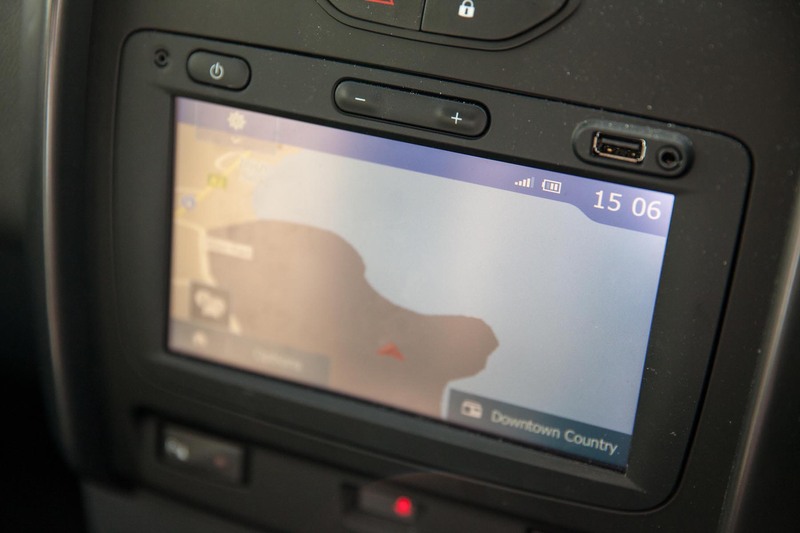 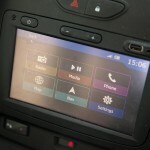 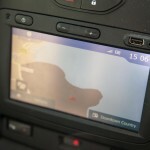 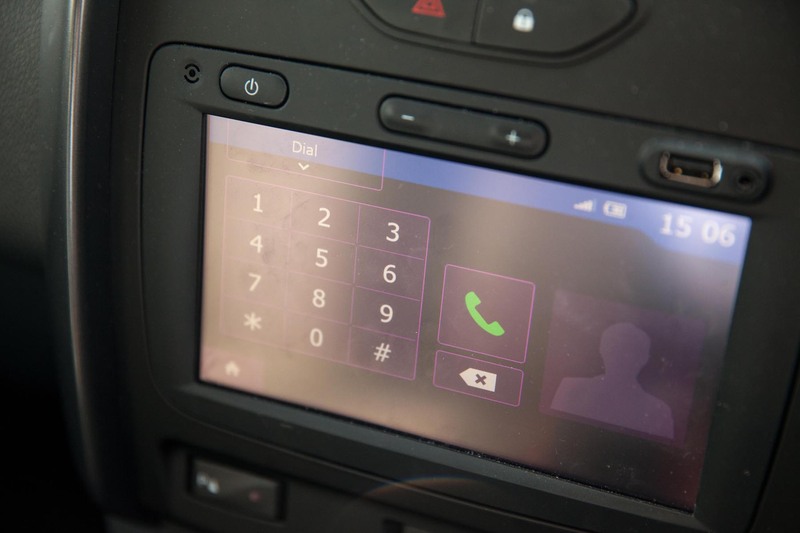 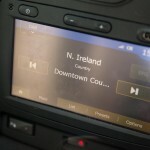 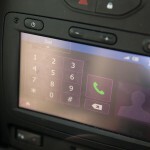 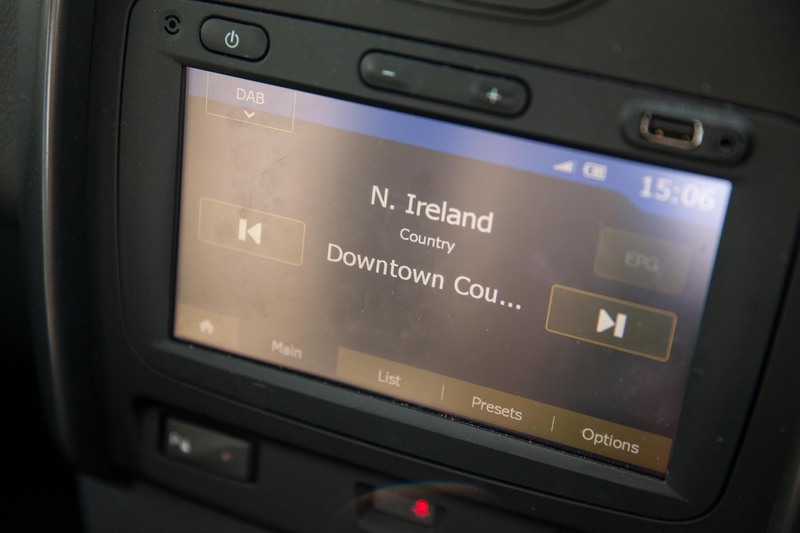 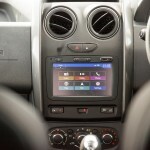 The 7” touch-screen navigation system on the PRESTIGE model tested was basic but functional with stable Bluetooth connectivity, reasonable DAB reception and apps that I never tested as I am not into the whole geek thing – I do recall the reverse camera being of decent quality also and a good aid when parking. 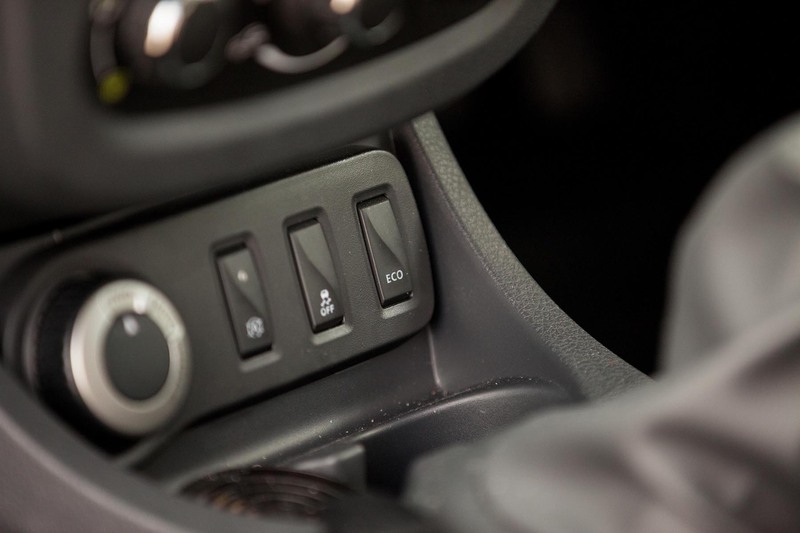 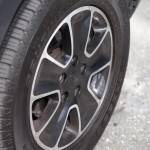 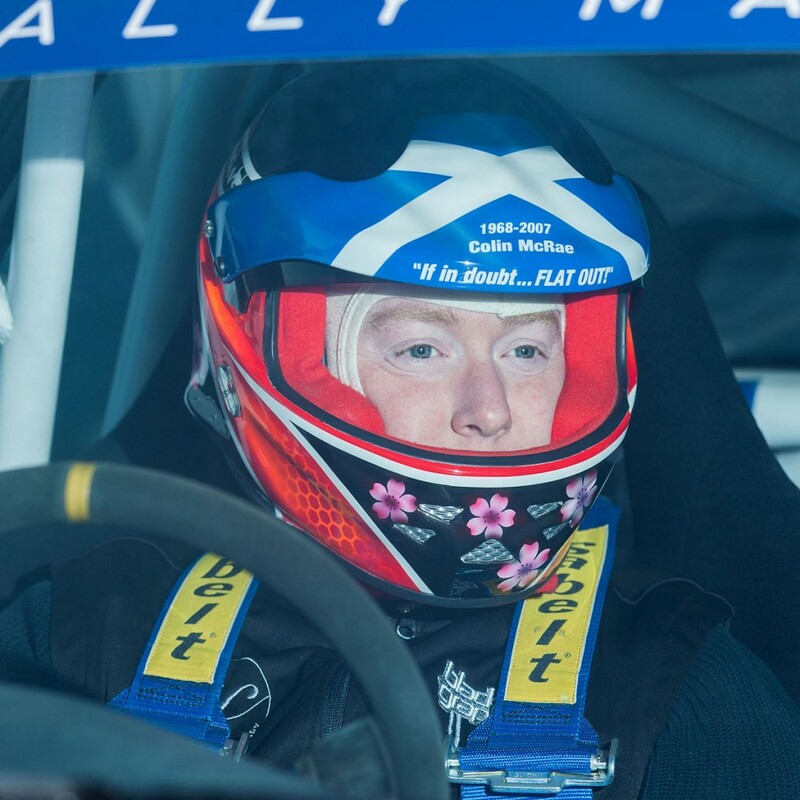 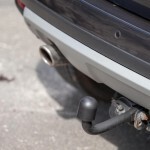 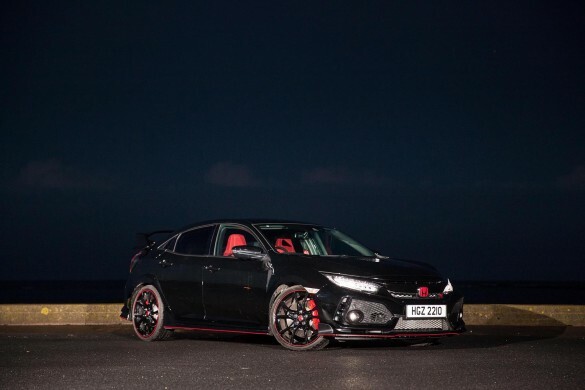 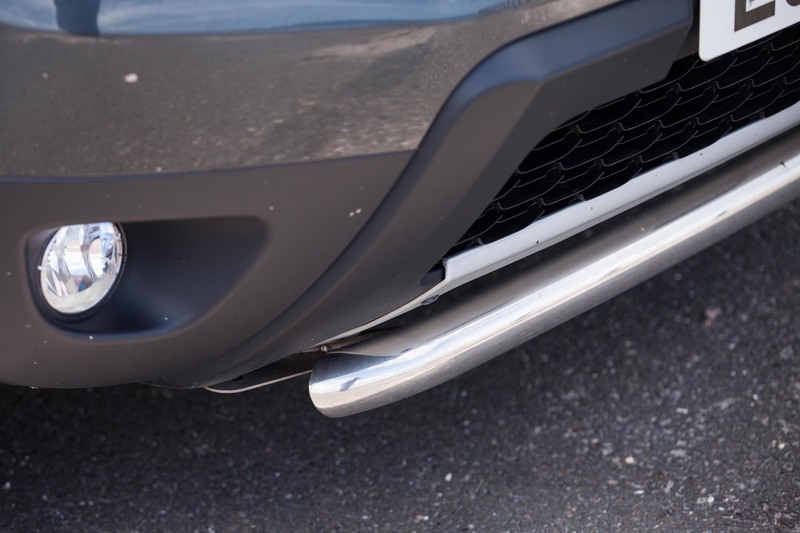 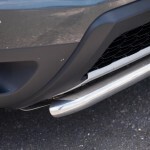 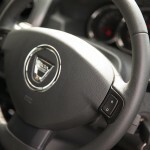 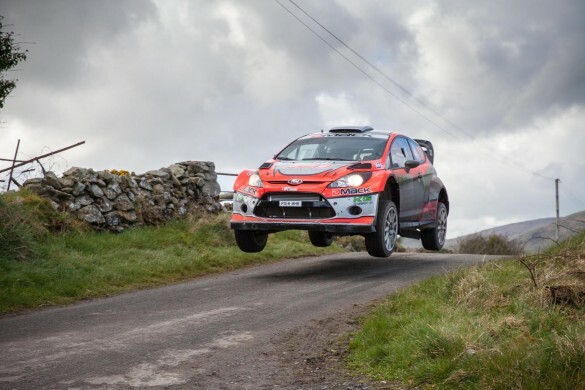 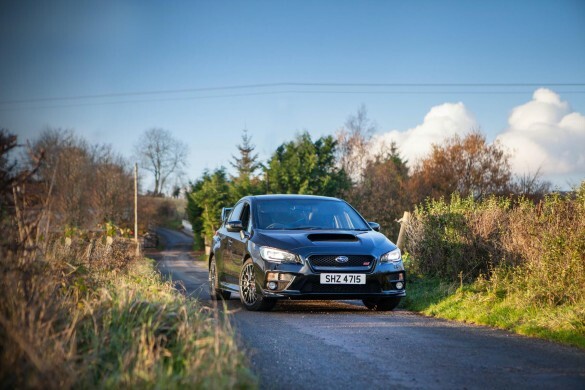 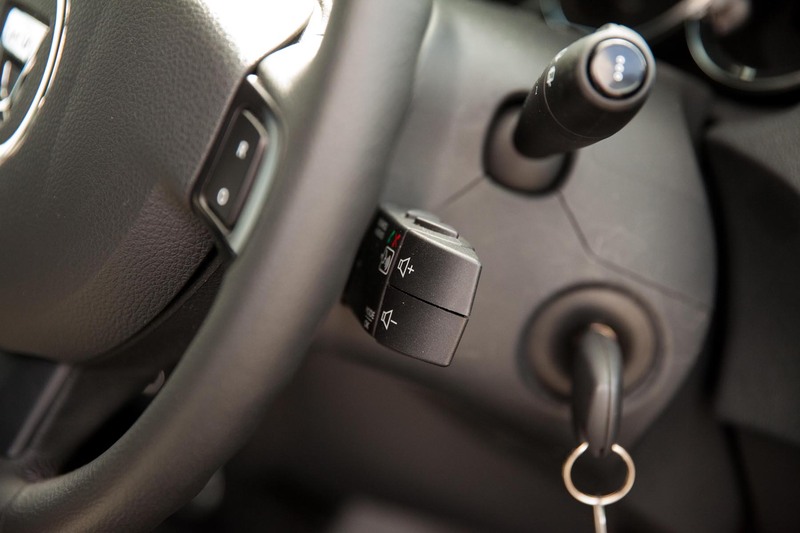 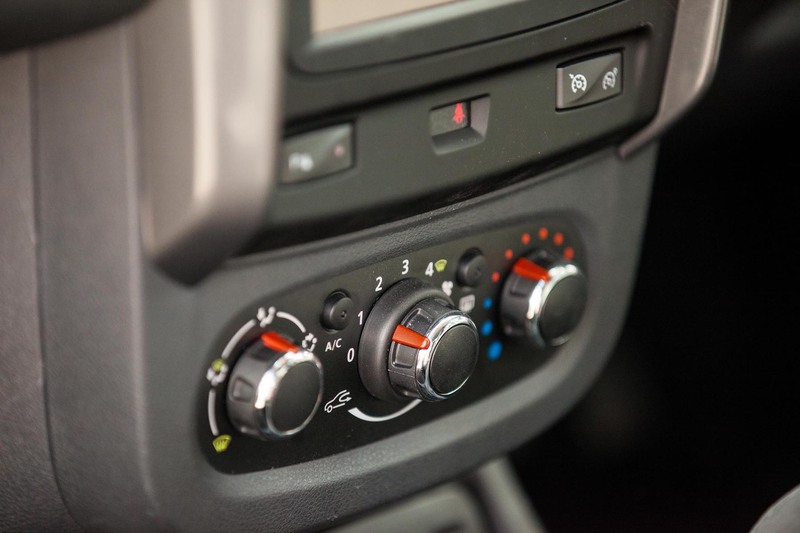 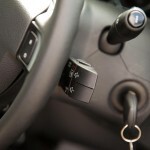 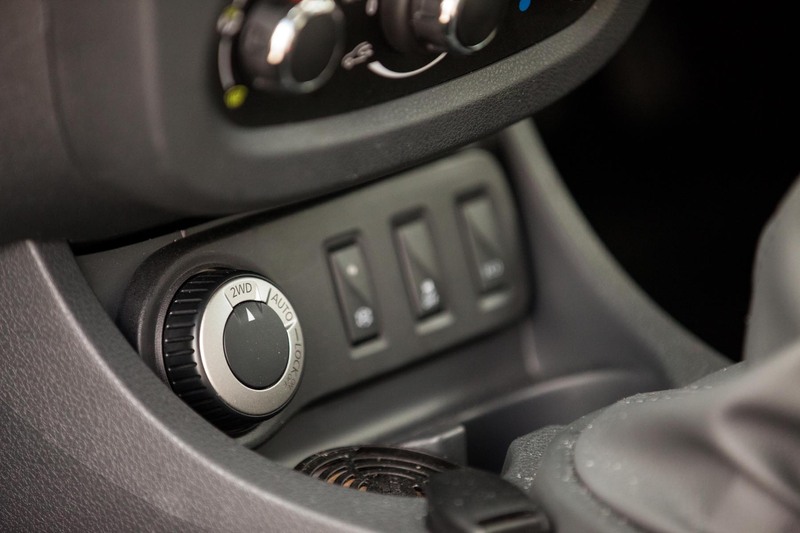 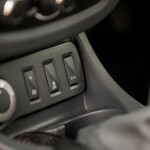 The option of either a front-wheel-drive or four-wheel-drive system is available across the range and is coupled to either a manual or automatic gearbox. 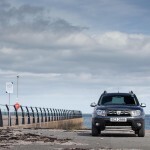 A single diesel engine is available on AMBIANCE and above, with two petrol engines covering the full range. 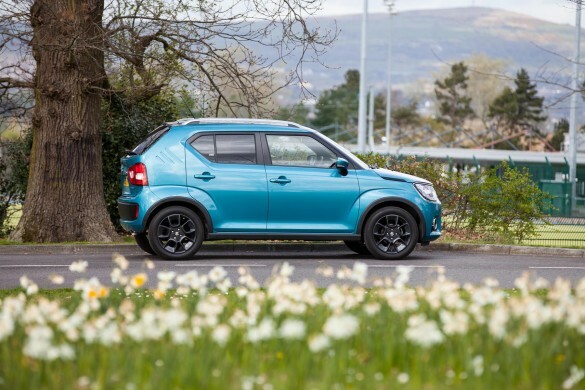 The SCe petrol engine is a 1.6L power-train providing 115PS / 156Nm which comes on the ACCESS and AMBIANCE models and is equipped with a 5-sp manual ‘box with the LAUREATE and above receiving the TCe engine coupled to a 6-sp manual ‘box. 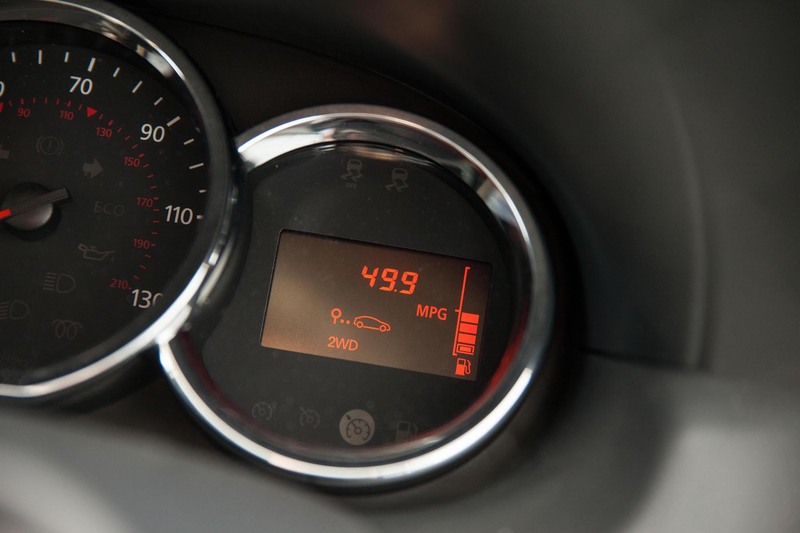 This unit is 1.2L turbocharged petrol providing a punchy 125PS / 205Nm – both engines returning around 40mpg on mixed driving. 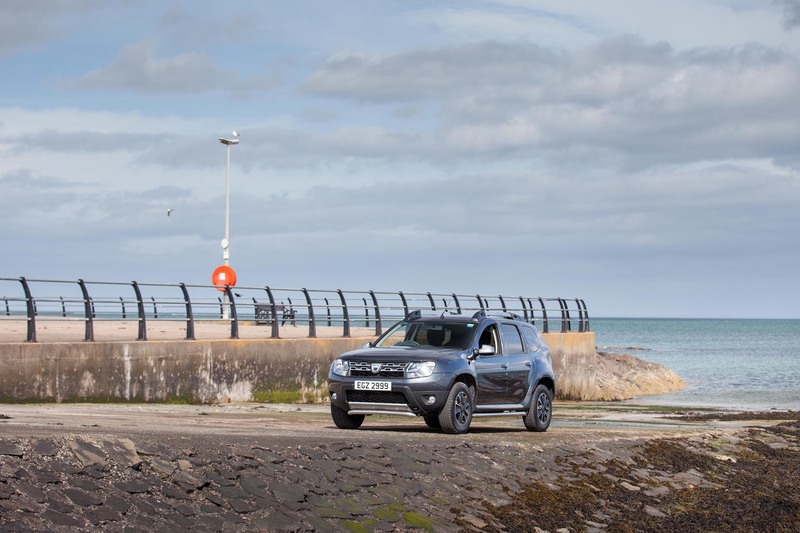 The diesel offering is the trusty old Renault sourced dCi 1.5L turbocharged engine producing 110PS / 260Nm and comes with the 6-sp manual ‘box or a 6-sp twin-clutch auto ‘box – the latter of which is available on 2WD only. 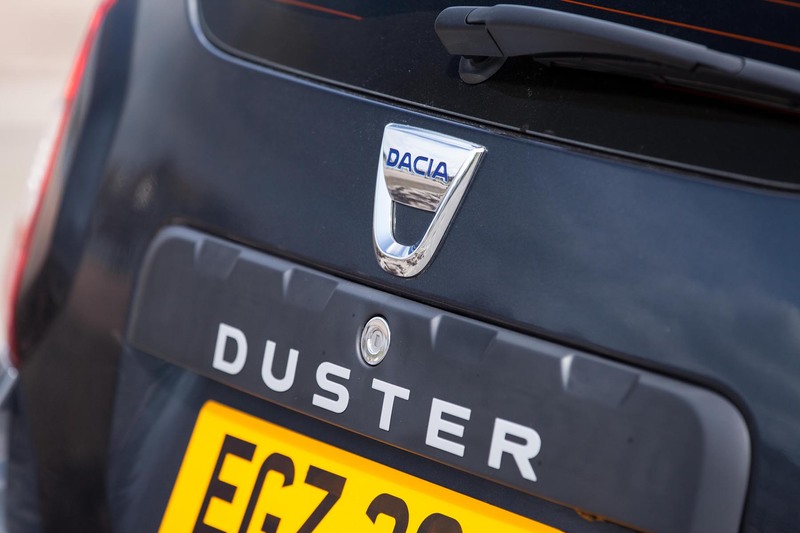 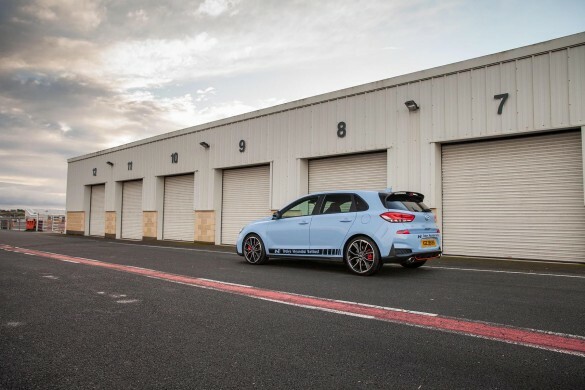 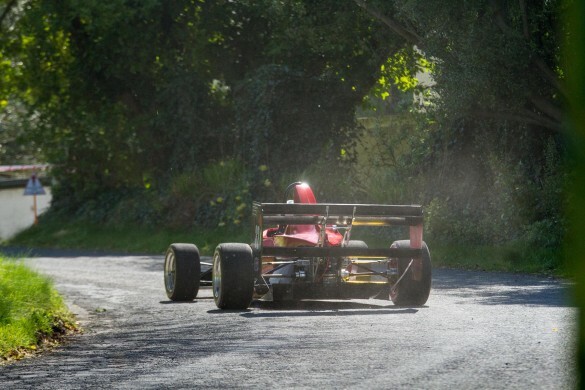 This dCi power-train as tested with the manual gearbox is one that pulls well for its small capacity and packs enough torque for overtaking slow moving traffic safely. 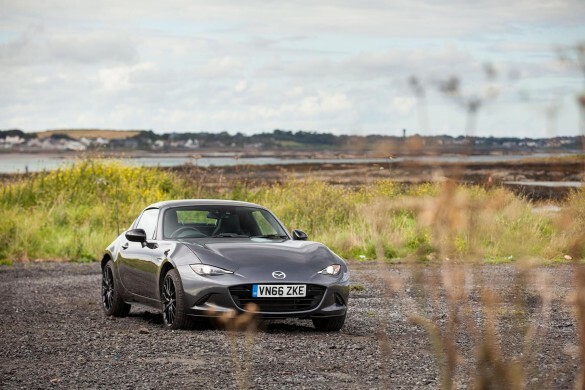 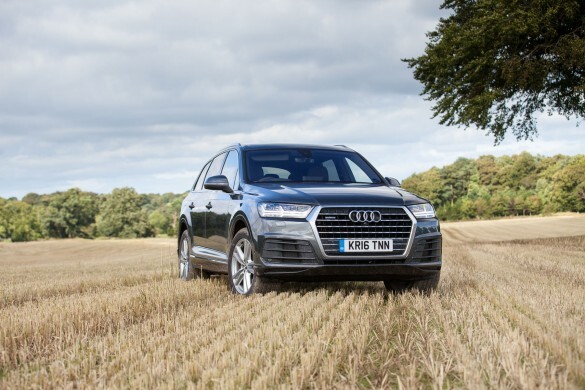 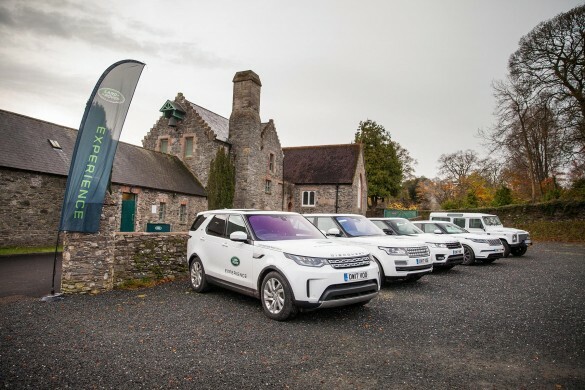 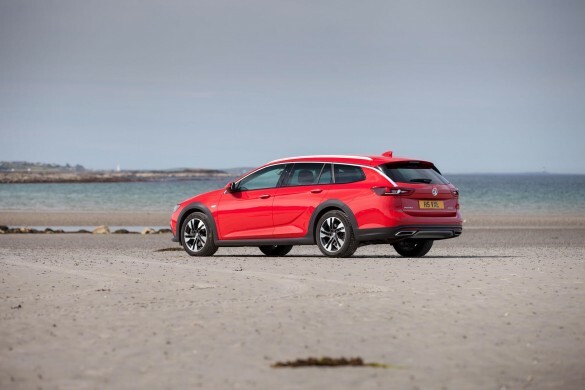 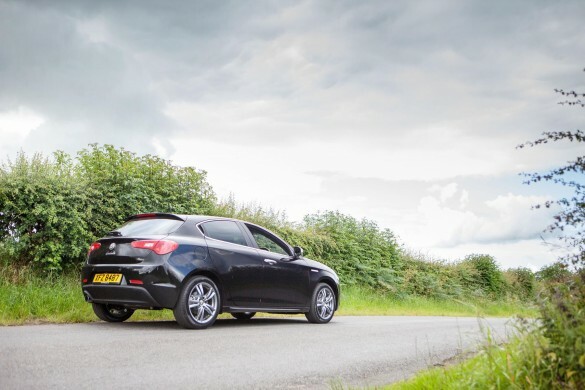 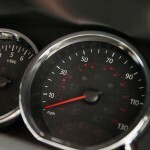 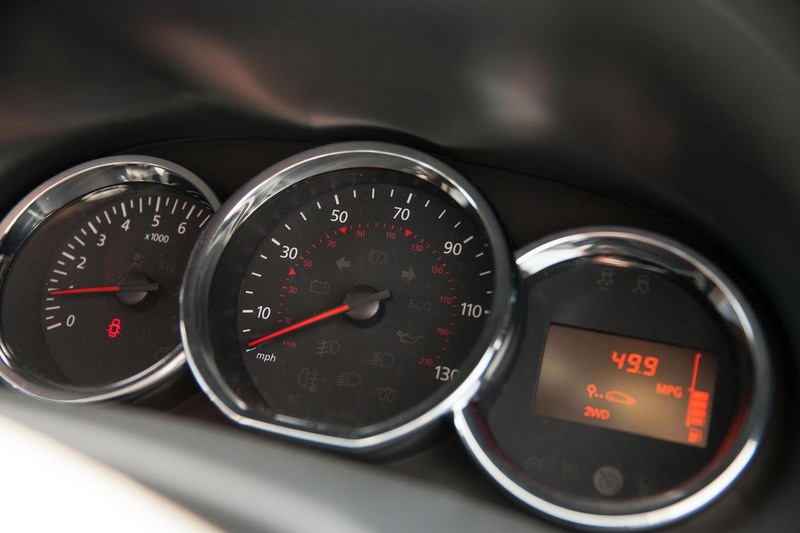 The dCi will return close to 60mpg over mixed driving and if you opt for the four-wheel-drive model across all engines, then expect a 5-10mpg reduction in economy on average. 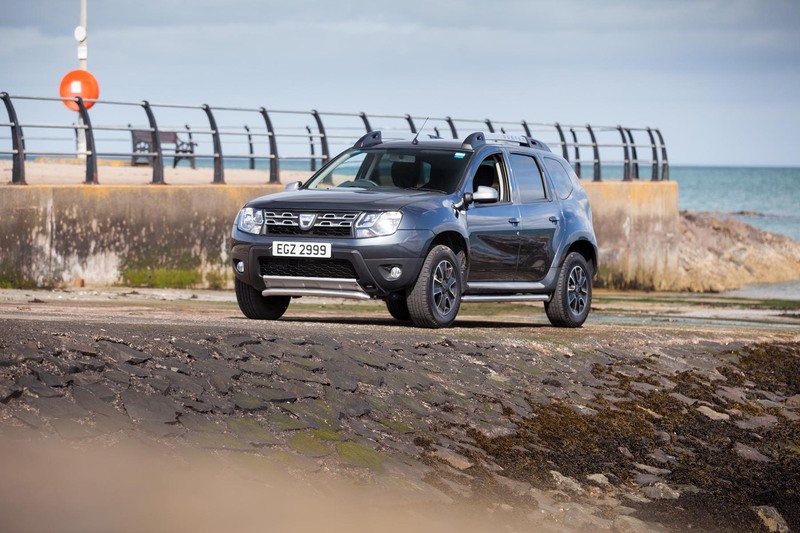 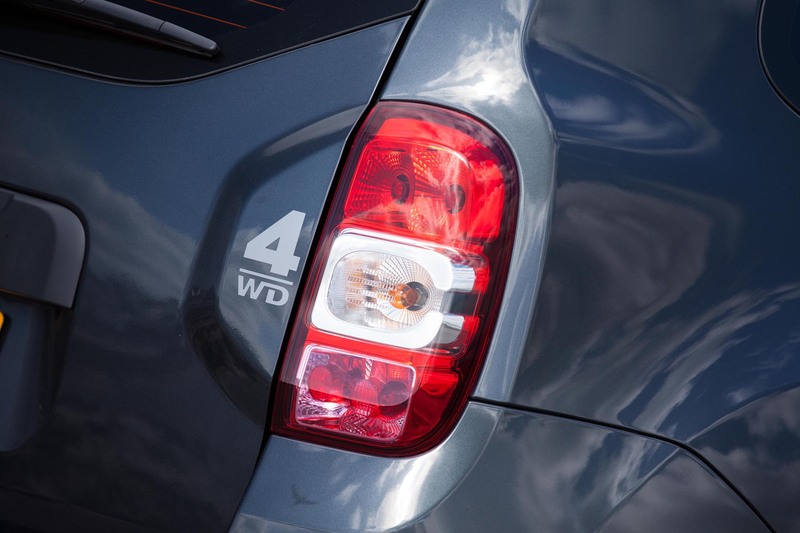 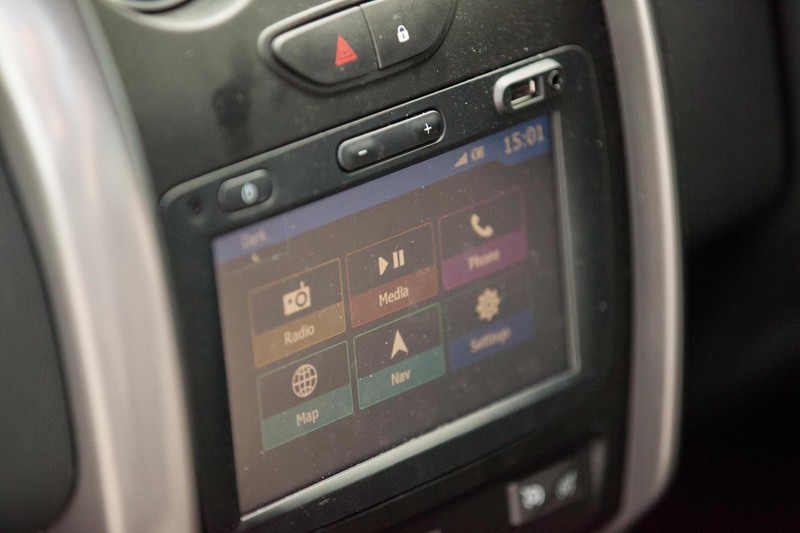 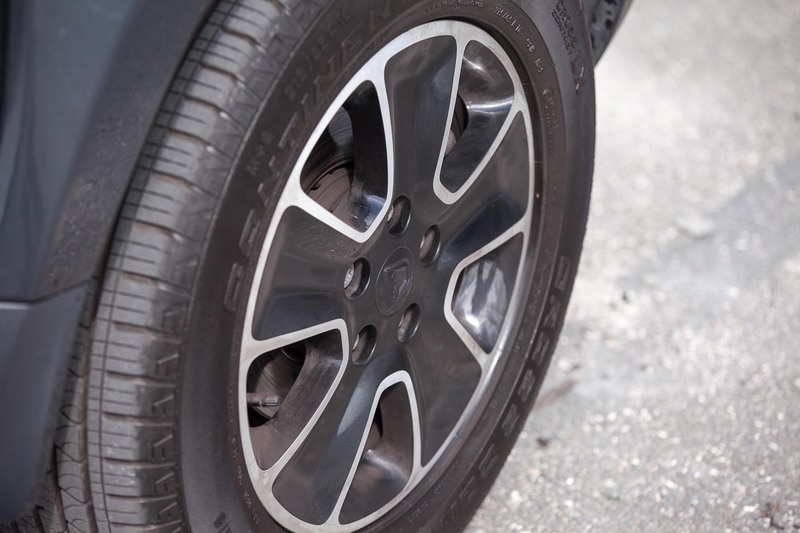 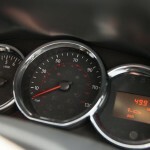 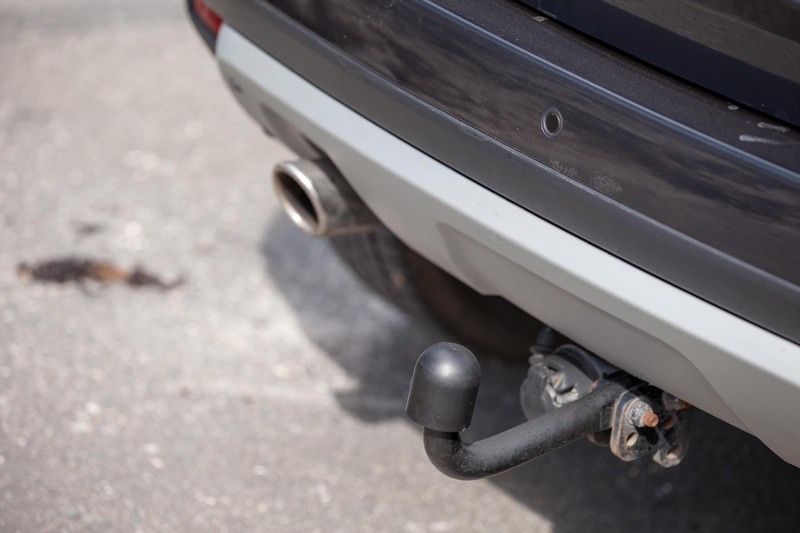 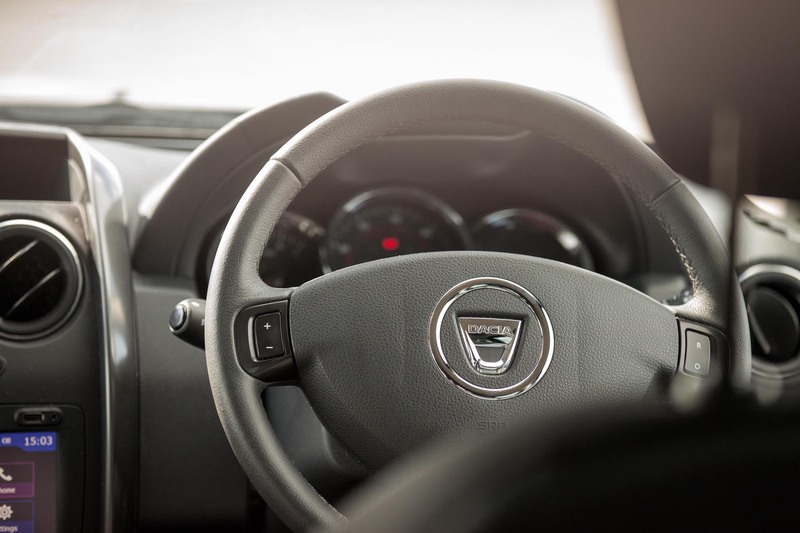 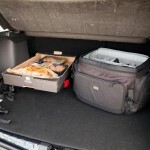 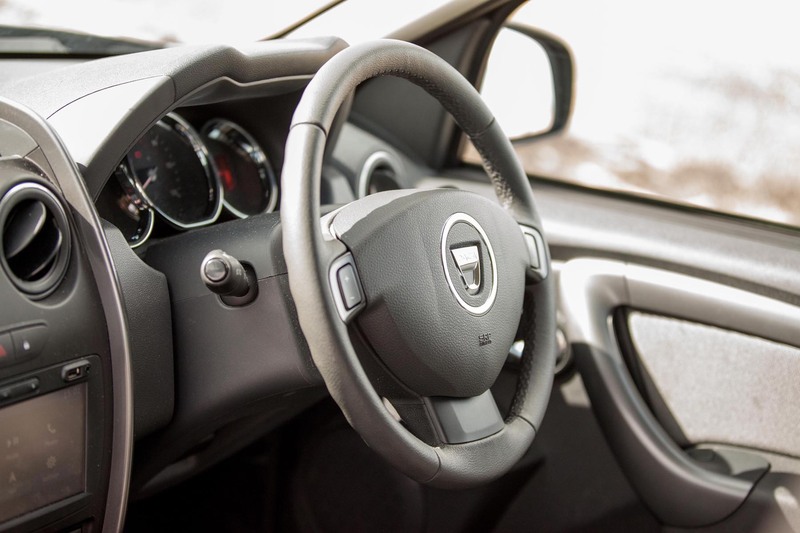 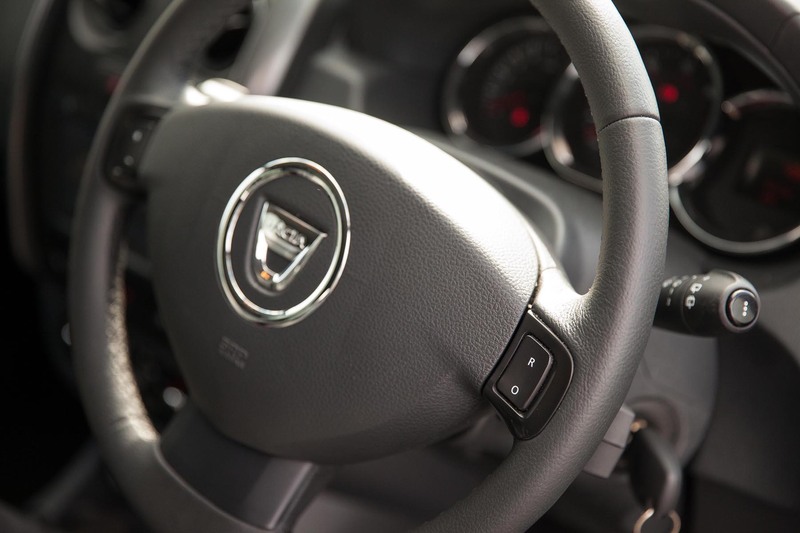 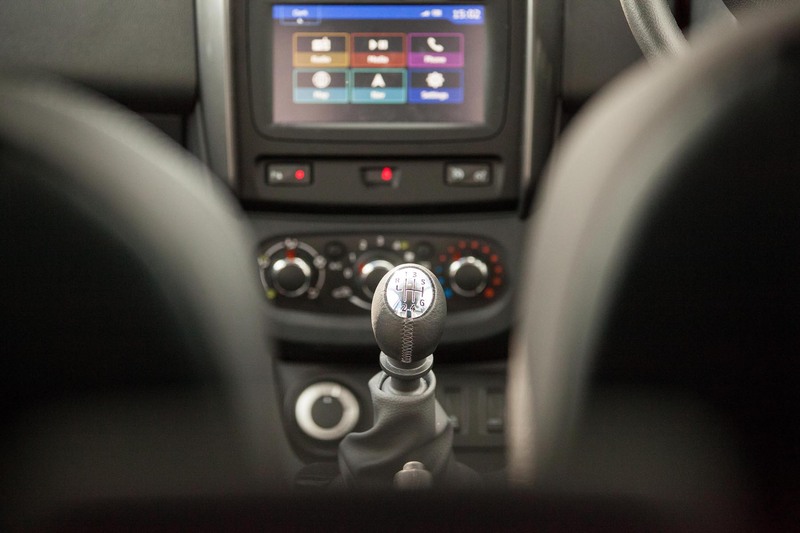 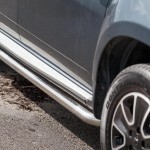 Driving wise the Dacia Duster makes for an easy A-B vehicle on any road, being softly sprung comfort is paramount with the Duster rather than providing an experience that would entice a late-night back-road milk run. 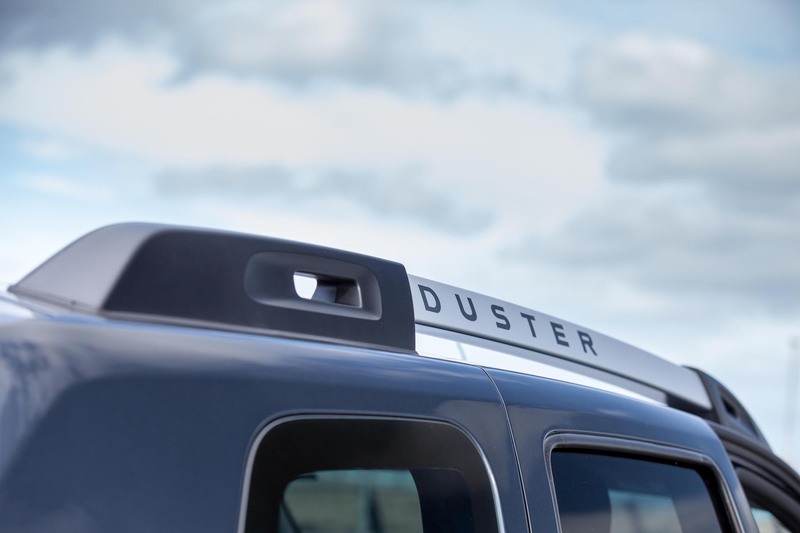 With a 3-yr 60k mile warranty as well as roadside assistance I see the Duster as a vehicle for the non-car person who maybe wants the access height and basic rural winter driving ability of a 4WD SUV without the expense of other brands. 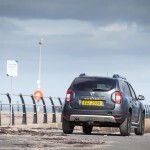 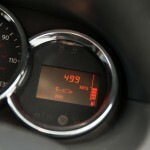 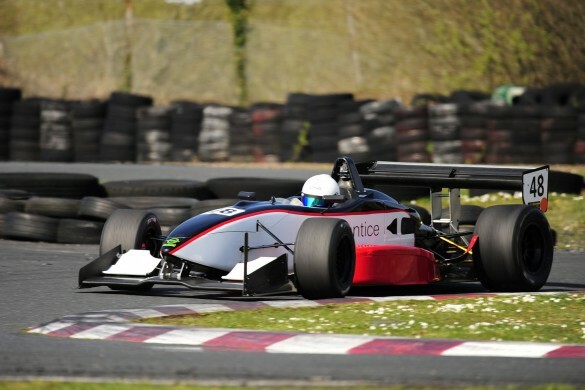 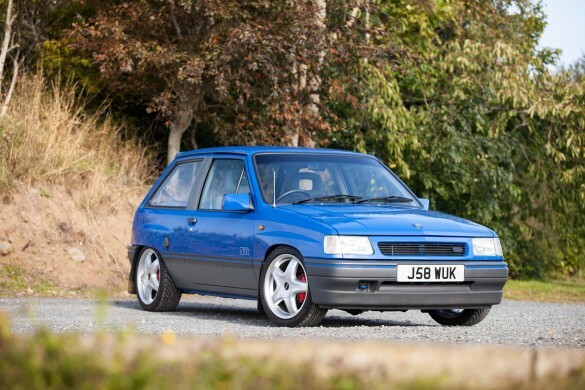 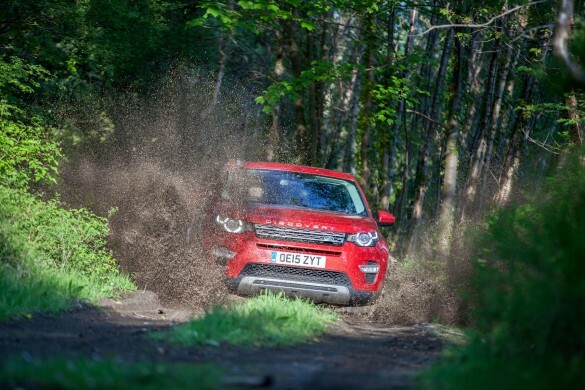 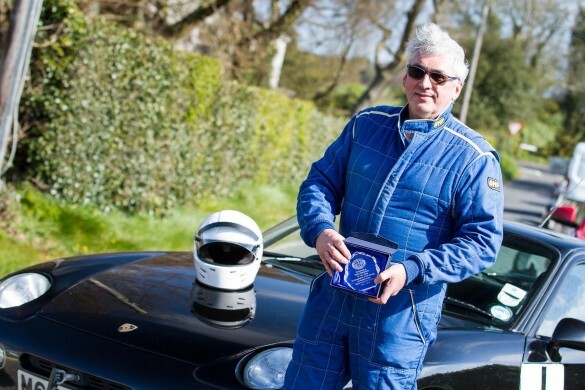 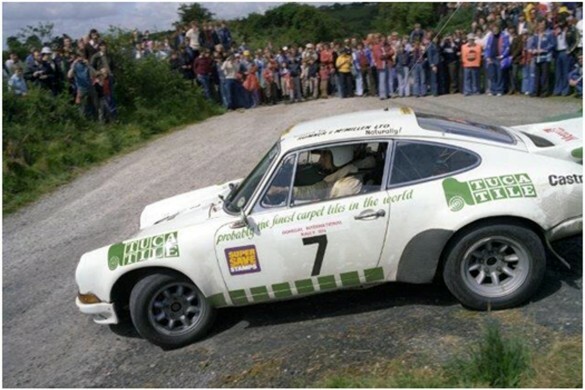 Expect to pay around £14k for a nice 2WD model and close to £19k for a well kitted 4WD model.